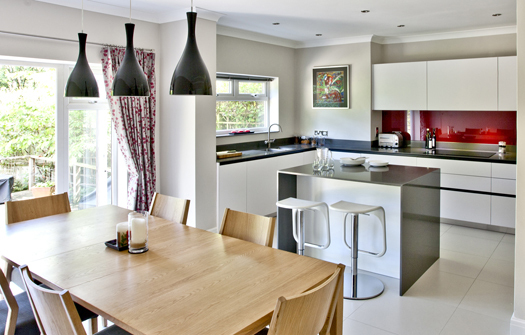 The homeowner wanted a fresh, modern kitchen with a minimalist look to replace their tired and dated one. 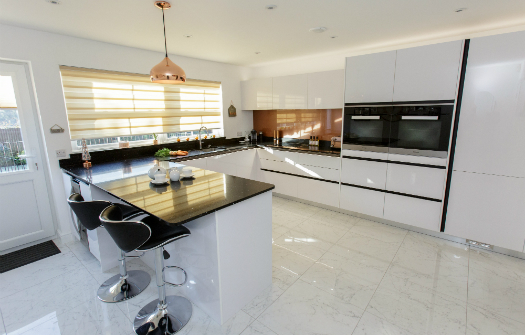 We specified Pyram matt lacquered handleless contemporary kitchen units in cream so that we could deliver a seamfree modern look throughout the kitchen. 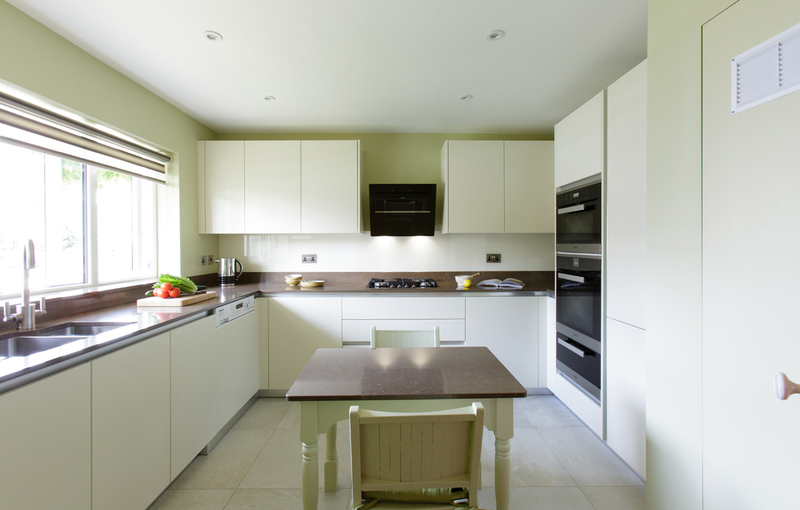 To complete the look, we installed new flat doors for the existing boiler housing, which were then painted in Olive Oil from Little Green paints to blend in with the walls. Miele appliances have been fully integrated, keeping the minimal feel and combining ease of access and bang up-to-date technology. 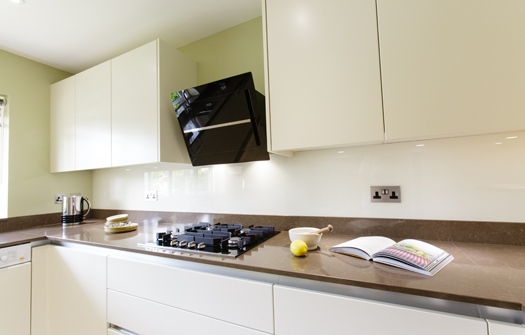 We installed an angled Franke Maris Plus Extraction unit to solve the everyday problem of bumping your head whilst cooking on the hob. 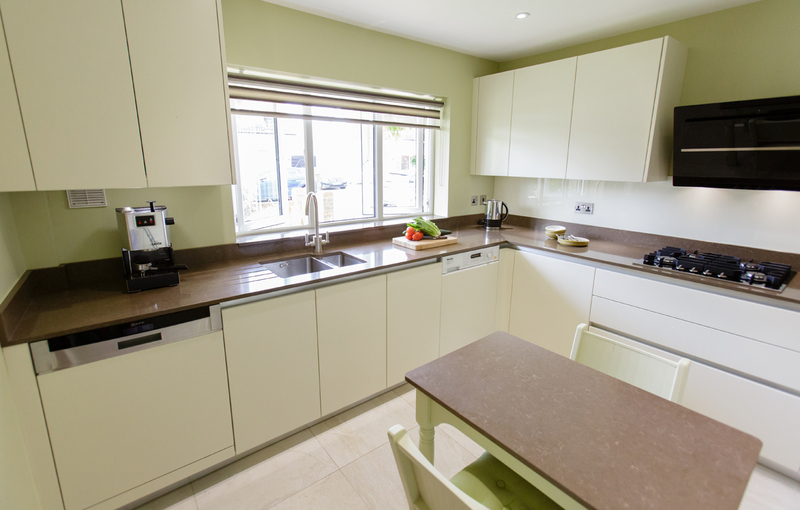 We finished the look with Silestone’s Iron Bark quartz worktops to complement the cream doors. 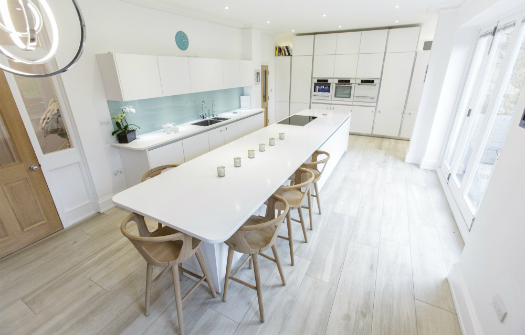 The quartz worktop was also used on the existing made-to-measure table to retain the simplicity and integrity of the minimalist look.